Erected by Ronald Mackay Latheronwheel in loving memory of his beloved wife. Georgina C Sutherland died 7th December 1972. 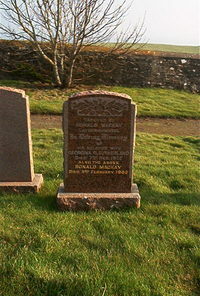 Husband Ronald Mackay died 3rd February 1982.